Some people have great expectations of good fortune—luck will tip chance in their favor, new developments will save them from current circumstances, destiny will lift their lives to unanticipated heights. The future will be better because optimism is a magic that realigns events along favorable paths. Hope makes things so. I’m not one of these people, but they tell me I could be. They say pessimism is habitual, not innate. If I can break the pattern of believing misfortune is permanent, pervasive, and personal, joy awaits me. When I say “Easy for you to say—it never seems so simple to me,” they smile and nod. Once again, I’ve stumbled into proving them right. My usual argument for pessimism—lowered expectations are easier to meet—goes nowhere because, to them, every expectation held firmly enough is met. While I’m busy expecting less, they say, others are busy trying to meet their loftiest aspirations. While I’m busy celebrating my little victories, they say, others move on to the next big dream. When I protest that bad things do happen even to good people, they say every setback is a prologue to greater glory. Everyone else knows the exception proves the rule, and, besides, misfortune puts future fortune into greater relief. If I could put my doubt to rest and stop thinking so much, these little bumps would go unnoted or add to the pleasure of my success later. If I say I’m not against hope but want to live in this world, not Candyland, they ask what I have against Candyland. They ask why I’m afraid of happiness and what I might lose by trying it. If I say happiness is overrated, that those who recognize the range, depth, and variation of existence lead richer lives, they tell me how highly they rate happiness, how much better life feels when you are happy. If I assert this isn’t the best of all possible worlds, they say maybe it could be if people focused on the positive. How can I argue when their only argument is the absence of a counterargument, when there’s only one right way of seeing things? What can you say if every question signals denial? I sometimes wonder what my dreams are working out. I’d like to know why my nocturnal brain wants to lead me through writing a eulogy for someone I’ve never met… without a computer or pen, on the inside surface of a rusty bucket. I’d like to know what part of my life creates a dream visitor to announce: 1. I have a hidden wing of my home to clean; 2. I haven’t been teaching the three classes I didn’t know I’d been assigned; and 3. my most pressing need is to remove the kids playing Yahtzee in my living room and sort the piles of mixed beans they’re lounging on or—more accurately—in. I wish I could dream like Samuel Taylor Coleridge. The poem “Kubla Khan” came to him when he fell asleep after reading a book about the Tartar king. The opium he took might have helped, but Coleridge dreamt a mighty dream and got up to begin reeling off verses that became a renowned work of Romantic Poetry. He reached 54 lines of the 200-300 he pictured before a visitor’s insistent knocking interrupted him. When he returned, he couldn’t find the thread of his thinking. This interruption made the visitor, “a person from Porlock,” one of the most mysterious and famous killjoys in history. He has his own Wikipedia page and has reappeared in novels by Vladimir Nabokov and Orhan Pamuk and poems by Stevie Smith and Kay Ryan. In Douglas Adams’ Dirk Gently’s Holistic Detective Agency, Gently goes back in time to play the visitor because the poem, if completed, would help aliens destroy the planet. Much less matters in my dreams. Many feature tedium so profound the only relief is pronouncing my desire to escape. I play my own Porlockian. I want to wake up… I’d rather resume the tedium of my life. My theories about dreaming swing between extremes. I try to imagine dreams at the center of my well-being. An old-timey telephone operator arrives for the graveyard shift. Her job is to unplug, untangle, and replug all the day’s connections. Then she leaves without notice. But sometimes dreams seem a horrible side effect, the struggling sounds of a factory. The machinery’s slapping belts, persistent rattles, and wheezing breath labor to perpetuate some product that never slides from the assembly line. Coleridge never wrote the treatise on dreaming he intended—perhaps someone else from Porlock interrupted him—but his notebooks offer some interesting theories. Like thinkers before him, Coleridge believed reason and desire slept when the dreamer did, but imagination didn’t, and a sleeper might translate sensory input into dream imagery. He didn’t assign psychological meaning to this transmutation—as either compensation or sublimation—the way Freud later would, but he did recognize the sleeping mind’s search for causes. It looks to explain its situation. The drip of ice melting outside the window becomes a ticking clock, the grandfather clock’s hourly toll becomes the bell of a boat leaving port again and again. Okay… but how can I retro-engineer “Kubla Khan” from that? It was after cross country but the weather was pre-season. I couldn’t find my running shorts and shirts because they were in two identical locations, one storage for stained, ruined, and discarded clothes and one for the real thing. But when I finally succeeded getting dressed, I thought we might arrive on time. My wife offered to drive the three of us (me, my daughter, and the exchange student staying with us) to practice. Soon, however, we were hopelessly lost. We were in rural Pennsylvania, stuck behind an Amish father and son in a horse-drawn buggy. When a busy intersection appeared, I jumped from the car for directions. That was the last of my wife. I flagged a cab—apparently it was lost in rural Pennsylvania too. The cabby talked repetitively and incessantly about subjects I don’t remember, but we never approached the mysterious practice. The backseat window was a television of flashing scenes, a new-wave movie insisting it was art and bored with the triviality of arrival. I realized my running clothes had no pockets, and I had no money or phone. I told the cab driver, and he said I’d have to work out a way to pay him. Then it occurred to me, I’m dreaming. He could drive me to a bank where I could call my wife (but I didn’t know her cell number) or drop me off at home (but I didn’t know where that was, plus the place I’d come from wasn’t any home I recognized) or he could let me write a beautifully worded promissory note in lovely calligraphy worth the cost of the ride (fat chance). “No, I can’t think of anything. I’m going to wake up.” It was 3 a.m. Some of my artist friends swear by dreams. They start each day copying their Kubla Khans into journals that later become beds of flowering imagery and narrative. I go through long stretches when I awake recalling nothing. On those mornings, I feel as though I’ve somehow again eluded a scary visitor. He believes, as many people do—as my artist friends do—that dreams offer another sort of fecundity. The day-planters and the night-planters go about their jobs differently, but each looks out for the other, undoing the harm of each. His insistence on regeneration is interesting and inspiring and makes me wish I could believe, but his thinking slides over my brain as over Teflon. I feel inadequate in a novel way. Every day, in my last moments of consciousness, my thoughts descend into confusion, and sleep reaches up to pull me down. Sometimes, I give up will and fall, blissful in the ignorant blindness of depth and happy that some other current will take me some other place. Then the joy of the journey is not remembering where. But sometimes, some part of me struggles. And then I dream. When my son was young, I learned not to notice his noises. Most of them were cartoonish background, the swishes, clicks, whistles, and growls of a scene he imagined. But I remember one revelatory morning. As I gathered my things for work, I heard a high-pitched squeak and then another and another. By the time I’d reached his room, he was pinching the collar of his shirt with fury and muttering, “Stupid button, stupid button, stupid, stupid, stupid.” In one twist of thumb and forefinger, I buttoned his collar, and he ran downstairs to breakfast. For me, scenes of petty frustration are commonplace—the buttons that won’t button are in league with itchy tags, slipping socks, and stuck coat zippers. They are part of a larger confederation that includes doors that won’t latch, books that won’t stay open, glasses that hide themselves, DVD menus that slip past the scene you’re trying to reach, and everything that is suddenly and inexplicably broken. As lifeless and blameless as objects are, each can become momentarily a someone, vital and real. I think of poetry that way—the moment the concrete comes to life. Some readers of poetry, especially ones infected by the modernist notion that literature must be difficult to be worthy, see poetry as smudgy pictures. Take a clear feeling or idea and blur it, poeticize it by representing ideas in objects or by injecting ambiguity. I sometimes work that way too. However, those efforts rarely bloom. I try too hard to be original, and all is lost. I’m beginning to recognize that success may require understanding originality differently, as having immediate and original impulses, as play. This idea isn’t original with me. 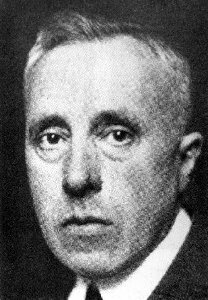 It owes a great deal to Johan Huizinga, the author of Homo Ludens: A Study of the Play Element in Culture, who argued, “To understand poetry we must be capable of donning the child’s soul like a magic cloak and of forsaking man’s wisdom for the child’s.” We have to see things anew, uncomplicating them the way my son uncomplicated that button and I’ve uncomplicated my DVD player by cursing at it. Maybe all art has to be play—not meaning-making—to find its natural form. Huizinga sets play up as the opposite of seriousness, but he prefers “non-seriousness.” Within the context of a game, we play very seriously and intently and—in the moment, at least—regard what we are doing as grave and important. However, that is only within the game; another part of our consciousness recognizes “This is a game” and sees it as different from the rest of our lives. Huizinga doesn’t equate play with irrationality either. Play is rule-bound, time-bound, and space-bound. Part of a game’s appeal is that, “Into an imperfect world and into the confusion of life, it brings a temporary, a limited perfection . . . play has a tendency to be beautiful.” Because of limits, play creates initiates and adherents, people who appreciate and share the beauty of its particular forms. At school, my son used to play a game called “stadium rounders” cobbled together by a gym teacher. Really, it was kick ball with special and shifting rules suited to the place you played it. If you hit one wall, it was a home run. If you hit a farther wall, two runs. If you kicked the ball and it went through one of the basketball goals, your team automatically won the game and you got to keep the ball. Stadium rounders will not be included in the next Olympic Games. It hasn’t instituted mandatory drug testing. It isn’t “a business.” It began and ended with recess and had more rules than mah jong. It was fun, and nothing like real life. When are you ever sure you have won the game? You never get the ball. Is poetry like stadium rounders? In Huizinga’s paradigm a writer also enters an arena separate from everything else and, during the time he or she writes, follows “rules” established, if only loosely, by other adherents of the game. Writing is intrinsically valuable; any thought of how someone outside the game might look at this poem or what will become of it intrudes on the play. The best moments of composition occur when critical judgment dissipates. You want to get close to the primal play of imagination, the leaps that create metaphor and personification instead of inventing them. Thinking, “I need a simile here” or “An appositive would make this stanza as long as the others” destroys the moment. The idea is to suspend life to create. But how does an artist suspend life, and how does he or she forget The Audience or any formal training? In stadium rounders that’s easy to do. Poetry represents experience; it’s about life outside the poem. It doesn’t leave life. It examines it intently. And willing innocence into being is like restoring your virginity—psychosis seems required. Huizinga sees that. “As culture proceeds,” he says, “the play element gradually recedes into the background . . . crystallizing as knowledge: folklore, poetry, philosophy, or in the various forms of judicial and social life.” Even he has made play into a bookish concept himself. And what about ambition? Play is not for anything but itself. Modern poetry, like modern professional sports, and modern visual art, seems quite purposeful and significant. Playing becomes difficult when the player begins to see him or herself from an outside perspective and wonder how good a player he or she might be. In an essay “Poetry and Ambition,” Donald Hall writes, “I see no reason to spend your life writing poems unless your goal is to write great poems” and cites Keats’ remark, “I would sooner fail than not be among the greatest.” Noble thoughts, but they can choke art. To be a good minor leaguer and improve your game, it might be better not to notice you are playing in the minor leagues. I try to take Huizinga to heart and play. “When art becomes self-conscious,” he says, “it is apt to lose something of its eternal child-like innocence.” I try not to think about being the next coming of T. S. Eliot. I know honor is earned during the game and can’t be willed into existence. Still it’s hard. Think of those parents shouting from the bleachers who have crossed into another awareness—how your child’s performance is a reflection on your parenting. I’m not judging—seeing your child as yourself is easy to fall into. And it seems so much harder to join in children’s play-spirit. One morning, my family awoke to find it pouring rain outside. While everyone else was sitting safely at the kitchen table munching on cinnamon toast, I went out to put out the trash and returned nearly drenched. I was an absurd picture. I was spotted with drops, breathing hard, and holding my shirt away from my chest. In response to my children’s stares, I said, “I stepped in a poodle.” They are adolescents now, and they groaned. But I remember a time their chins might have tipped back in laughter. They used to be able to see cartoon cats and dogs fall in every hard rain. If only we could hang onto that picture. Sometimes he makes it no further than the first line. An intruding task divides his attention as a freight train would divide a dirigible—if his imagination could ever position them to meet—then his start dies, all its stolen air escaping suddenly. But, when he’s successful, he stretches and stretches his opening thought, attenuating it again and again until it’s a spidery thread that can no longer carry current. Then he turns to a new paragraph. He knows it’s a good idea to assure enough but not too much connection and to follow the figurative breath of a break with a novel direction, purpose, or voice. Association, not logic, is key. Perhaps objects that were whimsical or metaphorical in the last paragraph become more real-world in the next. He references a task he never returned to… the bookmark three quarters of the way through The Education of Henry Adams or a promise to call back immediately that, seven years later, still hasn’t been fulfilled. He doesn’t need to say how these stories apply. He trusts readers. Or they might follow a link. The true subject, when it appears, stands apart. And, once known, the narrative gains speed, carrying thoughts that rush after as if they were chasing the subject rather than being sucked into its wake like so many pages of discarded, dated newspapers. The pace in this portion can seem disproportionate because the word “and” dominates, and many other words that are only slight echoes of each other appear, drawing from the same store in his finite mind, seeming to put meaning aside simply to achieve sound and prod the prose by compelling it forward and forward and forward. A satisfying lull follows. Is that the best moment for a rhetorical question? Fragment. But the longer the writer continues, the nearer he comes to breaking back against himself, questioning what brought him here and undoing his premises. He becomes a wave in a box—any force achieved ricochets into gray static. While the effort to sort the shapes and shadows of his tiny sea might seem noble, more often the writing flirts with insincere invention. Some resourcefulness celebrates only itself. Meanwhile, at the bottom of the document window, the word count grows. 375, 376, and little purchase or progress suggests an endgame. Ornate ideas grow more ornate. Strong and clear signals become baroque. Artifice proliferates fractally. This cul de sac is all too familiar. The single consolation: he’s there. Having burned territory behind him, he will either escape or remain. Thankfully, he can’t write this post again. Then sometimes, only sometimes, desperation brings dusk. The end shows itself at last, and truth finds a way in. Watchfulness somehow lured a deeper sincerity from shadows. If he has prepared a reader well, a trap is set, a new quiet entices a strange but familiar animal into place for the essay’s final sentence. The string is taut. He finishes just before pulling the stick to bring the box down. With Google Maps I can drive up to our first house in La Marque, Texas. The owners have expanded it, but the face it presents is largely the same. The door is in the same place, the windows, the driveway, the configuration of lawn, sidewalk, and curb, the property lines and roof line are all essentially the same. But Google Maps hasn’t perfected time travel yet. So it can’t get on a bike, pump its legs down the street to reach a gas station Coke machine that, with a dime, opens like a treasure chest and reveals caps of bottles submerged in ice. No Yoo-hoo awaits. No faint refinery smell mixes with the scent of bayou mud just below any scratched turf. No kid in the neighborhood football or baseball game shouts, and no highway sighs all day every day until the sound becomes that place breathing. For me, place grows stranger by the year. Shakespeare’s notion of “A local habitation and a name” resides in two truths: that we think we know the place we inhabit right now and that a name gives it solidity, makes it one place to all people. I live in Chicago, The Windy City, The City of Big Shoulders, Chi-town, Second City, That Toddling Town, City on the Make, the Chi, the Big Onion, Paris on the Prairie, City of Many Baffling Nicknames. That last one I made up just now. Not being native, I sometimes try to understand what each name implies, what collectively they might hint about where I am now. I look for meaning in people who have been here always. 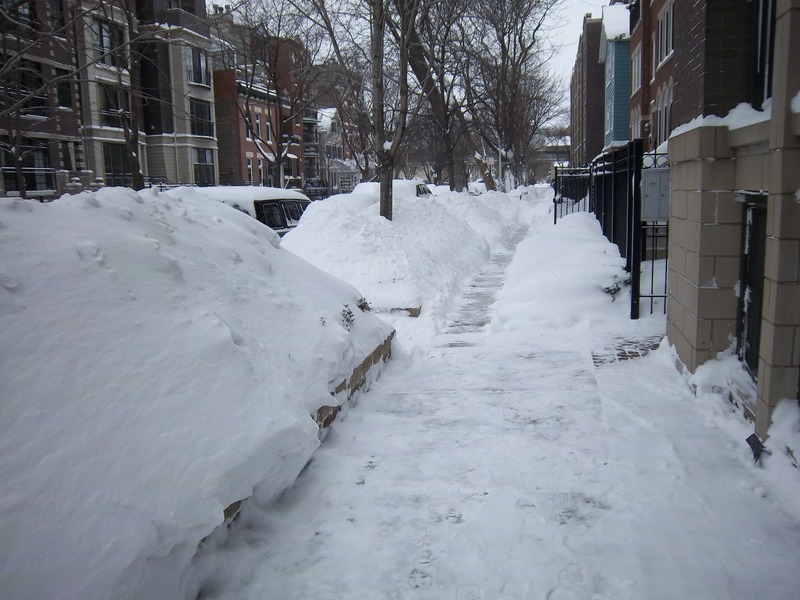 I’ve decided Chicagoans are tough people who expect equal toughness in others, who are sincere, straightforward, and impatient… but perhaps those are the only ones I’ve met. Maybe all I know is what I’ve met. The older I become, the more Shakespeare’s first truth dominates. I know where I am. I learn its maps and amenities, but names—instead of making places real—confuse me. The virtual world makes knowing even where-I-am-now problematic—what do names matter when we occupy the same cybernetic space and might be anywhere? Before moving to Chicago, I lived in Wilmington, Delaware. Its slogan while I lived there was “A place to be somebody” and that slogan captured the faint praise locals often give their home. The expression “For Delaware” accompanied many superlatives: “He is a good runner…for Delaware,” “For Delaware it was pretty scandalous,” and “She represents, for Delaware, quite a departure from the norm.” When the Wilmington News-Journal asked for alternatives to its lame slogan, one of its somebodies came up with “It’s not Philadelphia or New York or Baltimore or Washington… but it’s close to those places.” Wilmington was a stop on Amtrak, a series of exits on I-95, little more than another rest stop on another eastern turnpike. Making fun of small, backwater, overlooked, parochial, nationally insignificant, and boring Delaware was a local sport. I learned to participate. 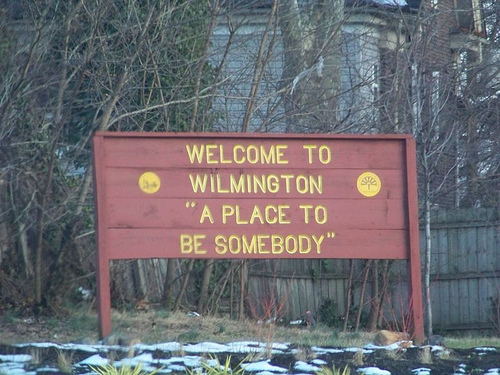 Yet, while I lived there, Wilmington was more of a place than many of the cities I’ve lived in. It felt warm, intimate, and safe, a manageable place where six degrees of separation became four and friendship was easy and elemental. 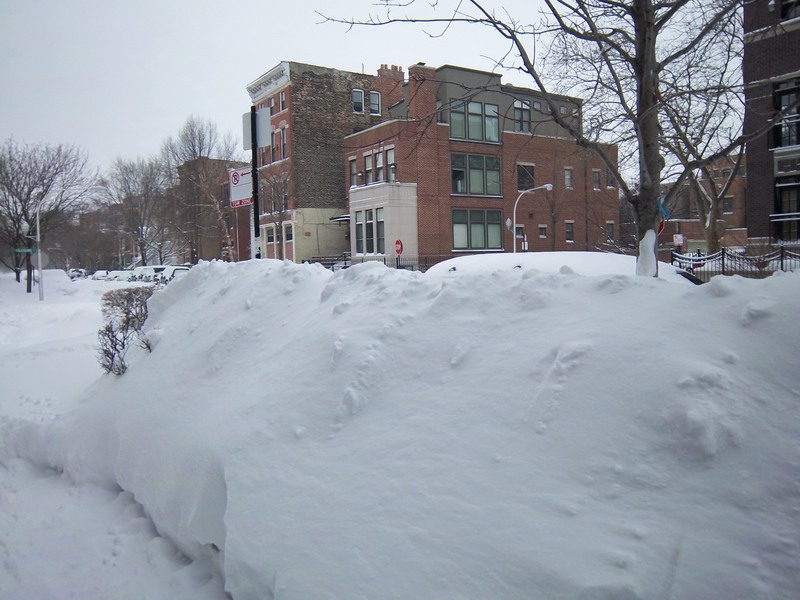 I might have that feeling anywhere and might find it in harder-bitten Chicago, but something about being in that tiny state induced simpler feelings. Life was a little less complicated, and not just for Delaware. Did the name make that difference? Is Delaware, while I’m half-way across the country, still the place I remember? Has memory slipped to nostalgia? This weekend, in the Super Bowl, Pittsburgh and Green Bay play, two storied NFL franchises with deep history, vivid associations, and resolute fans. The fans who live in those cities must know their home towns, but what about fans who have spent little or no time in Pittsburgh or Green Bay or athletes who live there only during the season? What do the names mean? Sometimes languages die and only ghosts speak them. Often I feel that disconnected from place. The world can seem a collection of places I can’t truly know, places I knew and can’t return to, names with no more depth than a label. Over spring break, I’ll be traveling near La Marque, and I‘m trying to decide if I should visit. Even if the name of the town remains the same, can the “local habitation” still speak to me after so many years? Which is finally real, that place or my memory of it? I’m not sure I’ll ever find out.